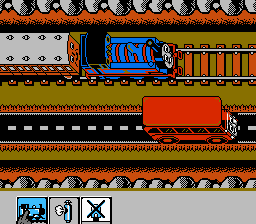 Earlier this year on our forums, I came up with a stupidly clever way to let everyone play the massive backlog of unreleased NES games we had piled up. 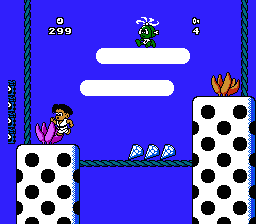 Every Monday, when Nintendo released fun, classic games on the Virtual Console, Lost Levels would release a bad unreleased game that no one had ever heard of. 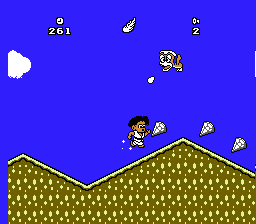 From February through June we managed to nearly release one brand new, previously-unreleased NES game every week, with very little fanfare. This was stuff that we didn’t get around to writing proper articles for, so they never quite reached the front page here. And, surprise surprise, no blog or news outlet picked it up. Well, here fellas, I’m going to make it easy on you, with links to each forum thread for further information. Buzz & Waldog is a pretty interesting cartoon platformer from Korean developer Daou Infosys. This was going to be published in the United States by a company called Innovation Tech which, if I’m not mistaken, was the short-lived (as in, they never released anything) publishing arm of a mail-order games company called The Ultimate Games Club. If you read game mags at the time, you might remember Innovation for Video Games & Computer Entertainment’s coverage of The Dinosaur Dooley, a rather bland Game Gear game that used unauthorized 8-bit renditions of Nirvana and Ugly Kid Joe songs. Actually, that one didn’t come out either, maybe I should make a post about it. Scarabeus is a puzzle game with mechanics similar to Polarium on the DS, developed by Source the Software House for the extremely short-lived video game division of Matchbox. 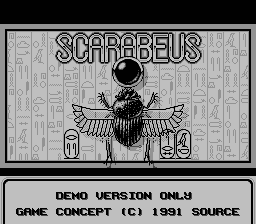 This game actually did come out in simplified form on the original Game Boy, with the title Pyramids of Ra (this is why the graphics are in black and white!). Game designer Ross Harris stopped by to discuss this title, among other games, in the above-linked forum thread. Apparently, Scarabeus was reworked at one point to be a Wizard of Oz tie-in, of all things! 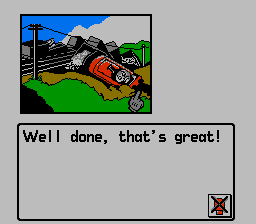 This is another unreleased port from the Game Boy, this time from British developer Elite. In this game, Dr. Franken must find the scattered remains of his dead girlfriend by running around in his pajamas and jumping over things. Those British developers sure did enjoy the “run around a large map and collect keys” genre, and this game is a shining example. Eon Man is a pretty decent platformer develped by A.I. for publisher Taito that readers of my old TheRedEye.net site may remember. 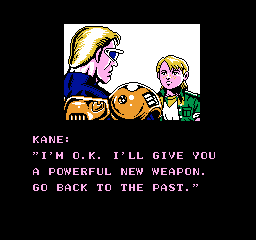 British developers may love the collectathons, but man, Japanese NES developers sure loved recreating Ninja Gaiden back then. The gimmick this time around is time travel, with Eon Man braving different eras to stop bad guys from copying the plot of Terminator. I did a video feature on this back when I thought Lost Levels should have a Youtube show, but I got lazy and never finished it. Note that the version of this game previously floating around the internet was some kind of strange Chinese bootleg, this particular ROM is from an authentic Taito cartridge. 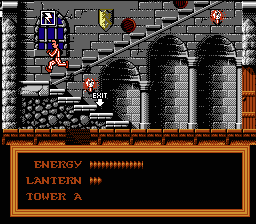 This is one of those oldschool first-person RPGs that only masochistic supernerds still talk about. 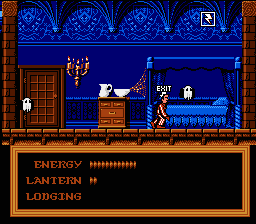 Originally a computer game by Interplay, this NES port was done for Kemco. This was released in Japan, but the above is an unreleased English translation, which unfortunately isn’t complete in the build we acquired. Not very fun, but I do have a soft spot for old Kemco music, so it has some nostalgia value. 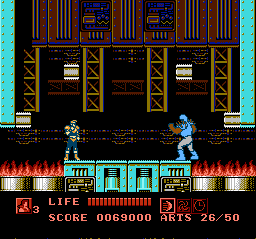 Probably the most exciting of the lot, Titan Warriors is a completely unreleased home conversion of Capcom’s top-down shooter Vulgus with tons of new material, not the least of which is an original soundtrack that sounds like it came right out of Bionic Commando or Mega Man 3. Action RPG about the hero of Locksley. It’s in an early state, but it has some interesting features, including a full day-to-night cycle and the ability to club a bear to death for no reason. This game wasn’t entirely canceled, it was recycled and remade into the much more straightforward and boring Robin Hood: Prince of Thieves to coincide with the movie of the same name. Another extended home port of a classic Capcom arcade game, this time Pirate Ship Higemaru. Unlike Titan Warriors, this port was released in Japan. The above English-language translation, however, is the only one currently known to exist. This game wasn’t technically unreleased, though the final version, Kid Klown, did not feature Mickey Mouse in any way, shape or form. All in all, not a bad little platformer, with some interesting mechanics involving bouncing balloons. Oh, and the best intro screen of any video game, ever. Bland and ugly port of Atari’s arcade game of the same name.